Megan is an award-winning graphic designer and writer, specializing in marketing communications. Since 2002, she has grown and run Sublime Designs Media LLC. As the President of Sublime, she works with companies to create branding, marketing, and social media strategies so they can grow and expand into new markets. 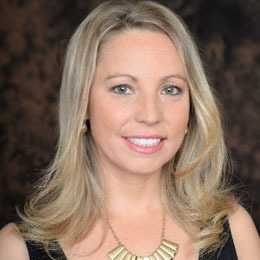 Over the course of her career, she has helped clients develop marketing strategies for print and online media, including advertising, branding, social media outreach, public relations, and more. As the daughter of a diplomat, Megan lived in Chile, Spain, El Salvador, and Germany. This international experience has shaped her aesthetic, giving her a rich and diverse approach to design with a special sensitivity to other cultures and ideas. Megan is bilingual in Spanish and also speaks conversational German. She has a BA in Communication Studies from Vanderbilt University.